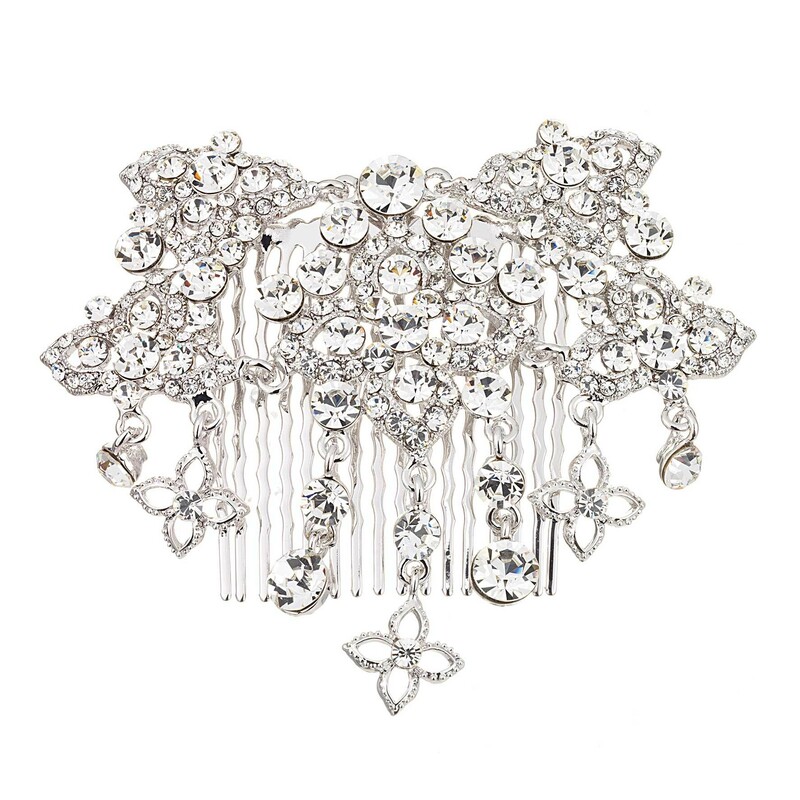 From Gemini Jewellery a Clear Swarovski Crystal Delicate Flower Pattern Hair Comb. 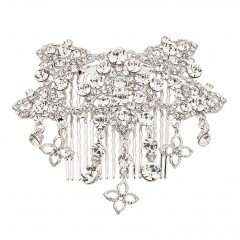 White Diamond Swarovski Crystal and flower drops give movement to this beautiful hairpiece. This old-school vintage glamour hair accessory will transform your hair do. Also available in AB and white diamond, clear Swarovski Crystal.